Have you wondered why there is a growing number of NASCAR betting sites online? There’s a simple explanation: auto racing has become more popular than ever. A Harris poll taken at the end of 2012 places it at #4 in a ranked list of America’s favorite sports. To put that rank into perspective, that places motor sports ahead of men’s professional basketball, which was ranked #5. Top Pick = Bovada Sportsbook – US friendly sportsbook (sorry no New York, DC, Maryland, Utah or Washington State) – Has wide variety of bets, parlays and exotic bets available for NASCAR fans. You do not need a promo code for the Bovado sportsbook. Top Choice – Bookmaker – Most variety, futures and excellent odds. US citizens allowed. Use promo code ” AMP ” to maximize your deposit bonus. If you’re new to wagering on NASCAR, don’t worry. We’ll get you up to speed. Buckle in and get ready for a 5-minute crash course on auto racing betting. It’s easier than you might think. Not only have the top online sportsbooks streamlined their betting platforms, but there are only a few different types of bets to make. We’ll describe them below. The most important thing to remember is that placing wagers on motor sports is simple. The first step is to register an account at one or two NASCAR betting websites. We recommend that you start with the sportsbooks listed on this page, such as Bovada, Bookmaker, and JustBet.cx. We’ve thoroughly vetted them. You’ll find links to detailed reviews on the left hand side of this page along with the promo codes you’ll need to claim bonuses offered by each site. Second, learn about the different races sanctioned by NASCAR as well as the tracks on which they take place. You don’t have to know everything. You just need to get familiar with them so you can make smart wagers. Third, place a few “learning” bets. It won’t cost much if you lose the bets; you can get in for as little as $5 per race. The point is to get a hands-on perspective of betting on Nascar events. As a bonus, you’ll gain some confidence along the way. Consider it part of your education. The logistics of auto racing betting are simple: join a sportsbook, register your account, deposit funds, and place a wager. But that doesn’t mean you’re ready to back drivers with a significant portion of your bankroll. Not yet, at least. Unless you’re a long-time fan of auto racing, spend some time getting acquainted with NASCAR races and the top drivers. Look at their records. Which drivers are consistent regardless of the track they’re racing on? Whose performance has been unpredictable lately? Learn about the cars. Identify the types of cars driven by the top drivers, and how those vehicles handle different racing environments. Monitor qualifying runs. How do drivers qualify for a given NASCAR event? Take the “Chase for the Sprint Cup” as an example. Only 12 drivers qualify. 10 of the 12 qualify based on the points they accrue during the regular season. The remaining 2 drivers make it in by their regular-season wins. It helps to know which is which. If you lack experience with sports betting in general, familiarize yourself with odds and money lines. They form the foundation for most of the NASCAR betting wagers you can make. Earlier, we mentioned that there were only a few different types of bets you can make on NASCAR events. All of them are relatively straightforward. The most common bet is to pick which driver will win a given race. The downside of this wager is the risk. There might be dozens of drivers on the track, making it tough to pick the winner. Remember, nothing is a given in NASCAR. Even if Jeff Gordon or Dale Earnhardt Jr. are expected to win by a huge margin, anything can happen during the course of the race. A single blown tire can demolish a driver’s chances of winning, and your bet along with it. You can also place a “top 3” wager. This is a bet on whether a driver will finish in first, second, or third place. It broadens your odds, giving you a much better chance of winning. As you might expect, the potential payout is lower due to the better odds. The minus sign (-) means Earnhardt Jr. is favored to win the match-up. If the bettor wants to bet on Earnhardt Jr., he would need to bet $14 to win $10. If the bettor wants to bet on Gordon, he would only need to risk $10 to win $12. 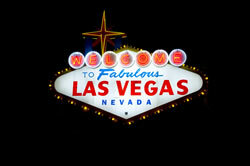 This would be a common bet found at a site like www.bovada.lv, one of our top books. Sometimes, NASCAR sportsbooks will offer parlay bets. A parlay is a wager on a group of outcomes. This might include the winners of all the races that take place on a given weekend. Or, it might include the winners of several match-up bets. If you predict the winners correctly, you’ll receive a large payout (compared to your wager). If one of your predictions fails to come true, you’ll lose the entire bet. Parlays are risky, but you can potentially turn $20 into a major windfall. You can find excellent parlay options at Bovada sportsbook. There are numerous NASCAR racing events held during each season. Although all of them offer lucrative betting opportunities, several in particular are worth paying attention to. Definitely watch the Daytona 500. It’s the largest race on the circuit, which means it is covered by all of the NASCAR betting sites. The Ford 400 is another race worth focusing on. It’s the last leg of the Sprint Cup run, so the top contenders are almost always there. The Brickyard 400, held in Indianapolis, is one of the most popular NASCAR races. It draws the greatest number of on-site spectators as well as a majority of auto racing bettors. The Coca-Cola 600, held on the same day as the Indy 500, is also important. It’s long, it’s dirty, and it’s held on Memorial Day weekend. That means it attracts a huge number of racing fans. You’ll probably notice an increase in betting activity on the top online NASCAR sportsbooks during this 3-day weekend. Since you’re already setting your sights on the Coca-Cola 600, you should also tune into the Indy 500. The race is one of the most important NASCAR events of the season. Rarely do the top drivers miss it. That means there should be odds on each of them at the top books. If you haven’t looked into auto racing betting, you might be surprised by how popular it has become. The good news is that it’s easy to get started. If you have experience betting on basketball and football, you’ll find that making the move to NASCAR betting sites is simple. If you’re ready to test the waters, we highly recommend checking out the sportsbooks we’ve listed above. In addition to these kinds of bets, a lot of race fans have taken to daily fantasy NASCAR at Draftkings. Details here but suffice to say it is a whole new twist to NASCAR wagers. Essentially you draft a team or drivers and they score points every lap for you. If you can score more than your competition you win.